The famous 949 Racing 15x10 Miata wheels are finally back! New Gen4 6UL wheels are NOW Flow Formed for the first time, for even better strength than prior generations, and even less weight. This is a race fitment, COILOVERS required, massive fender roll and pull REQUIRED. Fits 245/40, 235/50, 275/35 tires. Cap included. Valves not included. 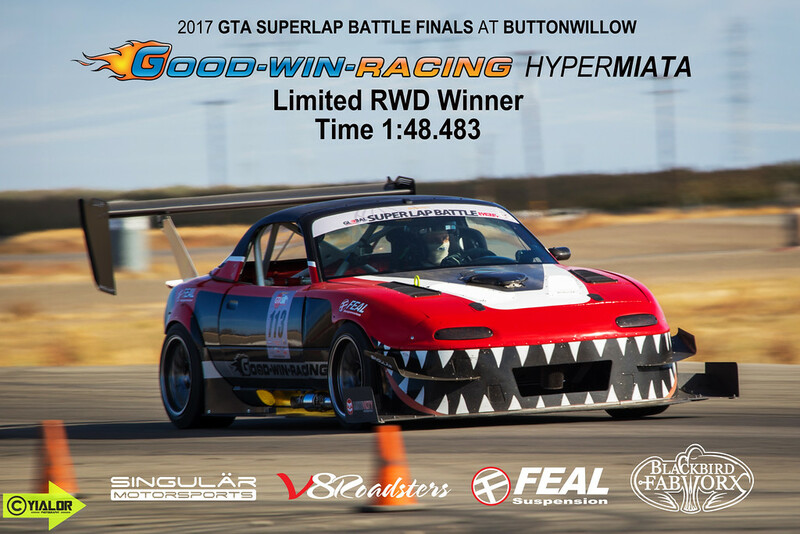 As seen busting lap records in our HyperMiata by Ryan Passey.